The Yakima Valley Visitors & Convention Bureau has launched a website for visitors traveling to Washington wine country with their dogs. 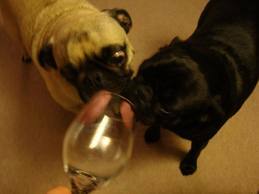 Winedoggies.com features a plethora of dog friendly attractions and activities in the AVA. Highlights of the site include a “doggie bloggie” hosted by a local canine, an interactive map of dog-friendly businesses and a section where guests can add pictures of their four legged friends enjoying Washington wine country.